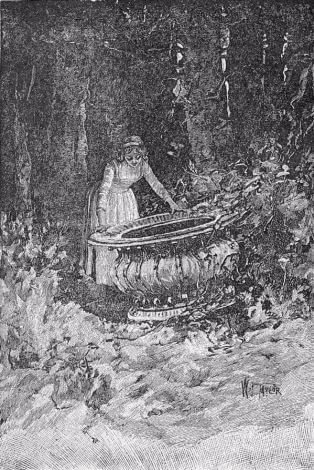 The Pot of Gold was published in Freeman's collection, The Pot of Gold and Other Stories in 1893. Father Flower had chosen this way of earning his livelihood when he realized that he was doomed to be an unappreciated poet, because it suited so well with his name; and if the flowers had only rhymed a little better he would have been very well contented. As it was, he never grumbled. He also saw to it that the furniture in his little house and the cooking utensils rhymed as nearly as possible, though that too was oftentimes a difficult matter to bring about, and required a vast deal of thought and hard study. The table always stood under the gable end of the roof, the foot-stool always stood where it was cool, and the big rocking-chair in a glare of sunlight; the lamp, too, he kept down cellar where it was damp. But all these were rather far-fetched, and sometimes quite inconvenient. Occasionally there would be an article that he could not rhyme until he had spent years of thought over it, and when he did it would disturb the comfort of the family greatly. There was the spider. 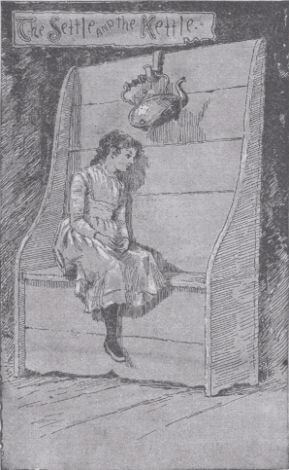 He puzzled over that exceedingly, and when he rhymed it at last, Mother Flower or one of the little girls had always to take the spider beside her, when she sat down, which was of course quite troublesome. The kettle he rhymed first with nettle, and hung a bunch of nettle over it, till all the children got dreadfully stung. Then he tried settle, and hung the kettle over the settle. But that was no place for it; they had to go without their tea, and everybody who sat on the settle bumped his head against the kettle. At last it occurred to Father Flower that if he should make a slight change in the language the kettle could rhyme with the skillet, and sit beside it on the stove, as it ought, leaving harmony out of the question, to do. Accordingly all the children were instructed to call the skillet a skettle, and the kettle stood by its side on the stove ever afterward. 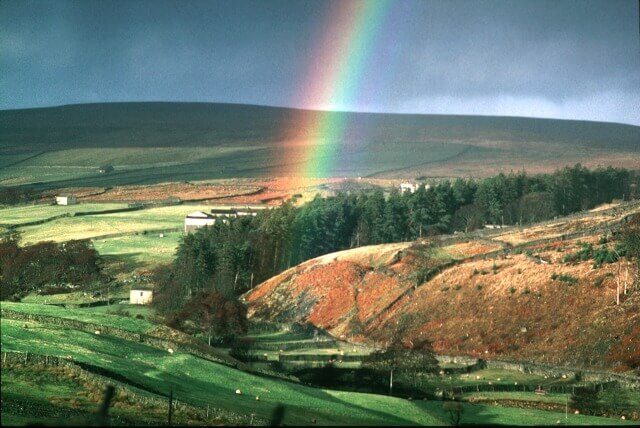 At the rainbow's foot on the dark green hill? Has shone, and is shining and dazzling still. And whom is it for, O Pilgrim, pray? For thee, Sweetheart, should'st thou go that way. "And whom is it for, O Pilgrim, pray? For thee, Sweetheart, should'st thou go that way." Add The Pot of Gold to your own personal library. Return to the Mary E. Wilkins Freeman Home Page, or . . . Read the next short story; The Revolt of "Mother"